Alexander Wyper Kane was born in Hamilton, Scotland on June 19, 1920. He passed away peacefully in Henderson, Nevada, October 15, 2017. Alex immigrated with his family to New Zealand in 1925 and lived a happy life in Gisbome, a swimmer, horseman, champion track runner and enjoying the vigorous family life on the Kane Farm. In 1942 he joined the New Zealand Air Force, and was secondered to the RAF in England to fly Spitfires and Hurricanes at Cranwell Air Force College, the air force academy of Great Britain, and throughout Europe during World War II. Alex returned to New Zealand to marry his childhood sweetheart, Eileen Mary Schollum and commence his commercial flying career in Australia, Holland, Indonesia, Kuwait, and Hawaii. He flew 24 different aircraft through 32 different airports. In 1967 tragedy struck when Alex's beloved wife, Eileen, passed away. 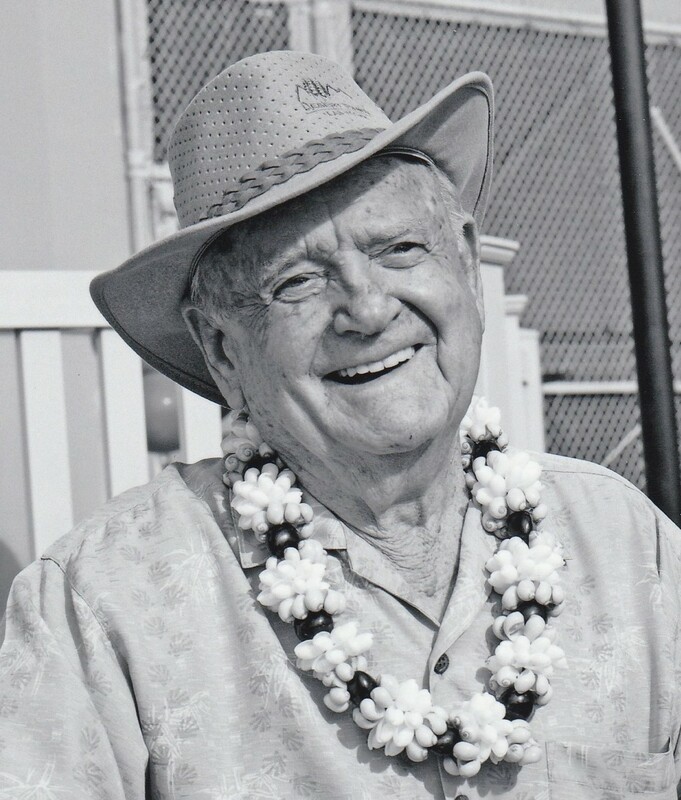 He moved to Hawaii commencing a new career, Kane International Corp. Building Materials Distribution which is a vibrant part of Honolulu now owned by son, John Kane. In 1971 Alex met Roberta "Bobbie" Watson, a public relations executive. Their married life has been exciting filled with love, travel, and family events. Alex Kane is survived by his wife Roberta and his children Barry, Peter, Deborah and John, and by his stepchildren Michael Watson, Pamela Watson Rapoport, Thomas Watson and all of their families, and his sister Cherry Warren. Alex was a Lifetime Rotarian since 1952. Donations may be made to the Alex Kane Foundation for Rotary, 111 S. Gibson Rd., Apt. 10-104, Henderson, NV 89012.